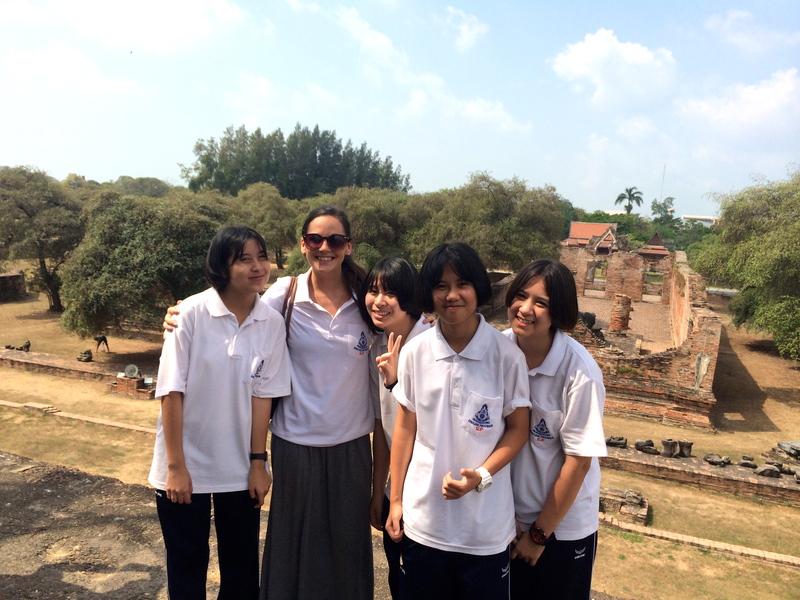 As the school year in Thailand is winding down, it is time for final reviews, exams and projects. Teachers can understand and commiserate that during this busy time of the school year personal reading and/or writing for pleasure become exponentially more attractive. Some may define this as “procrastinating”. Okay, everyone defines this as procrastinating… but I can’t help it and I promise I still get my work done on time! 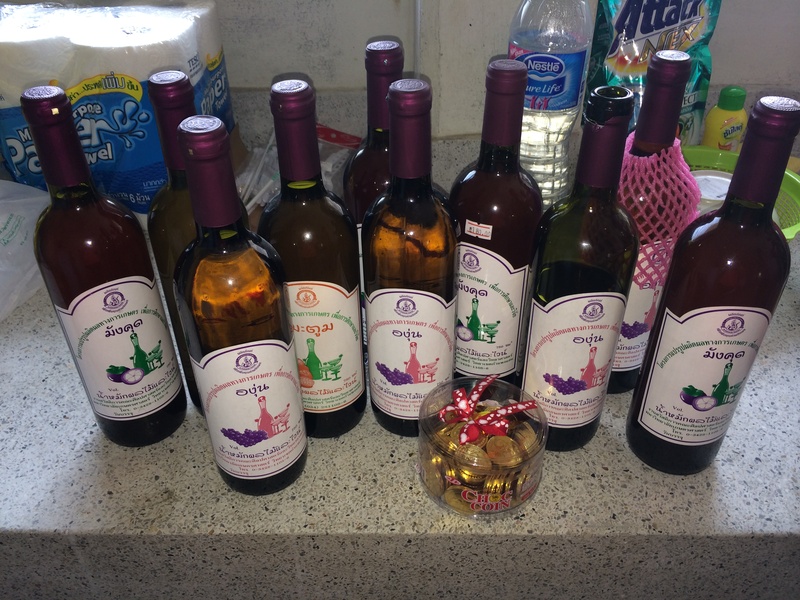 We had a long weekend for the Buddhist holiday a few weekends ago (which happened to fall on Valentine’s Day). Jackie, Erin and I decided to visit our close friend Kevin who we went to WVU with. He teaches at a university about an hour away from us and we have heard countless stories about his town and living situation. 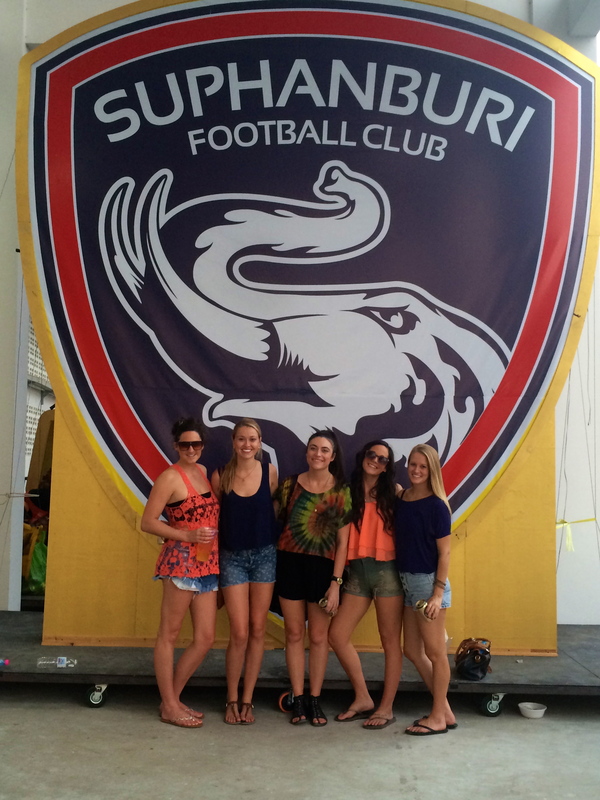 It was something we couldn’t leave Thailand without experiencing first hand. 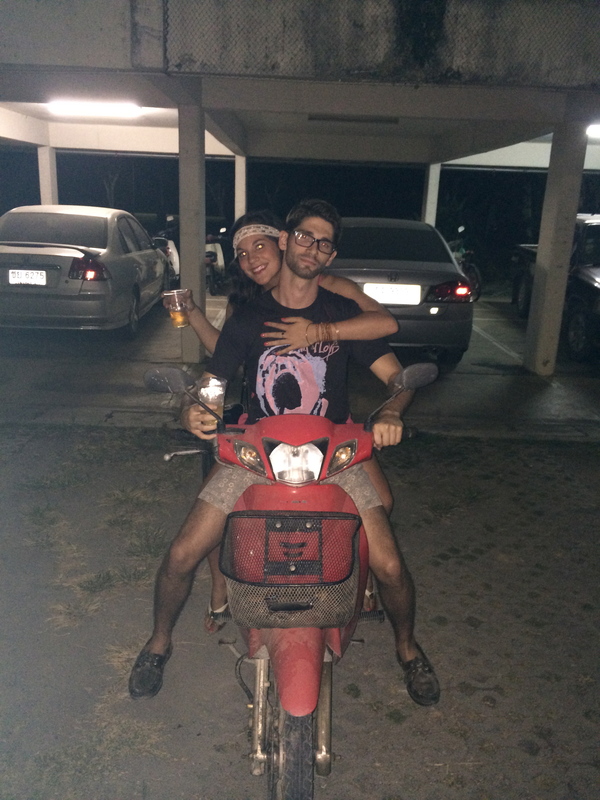 It turned out to be an absolutely comical weekend, filled with lots of wine, whiskey, stares from locals, delicious food, rap/guitar/harmonica freestyles, heart to hearts, moped rides and tons of laughs. 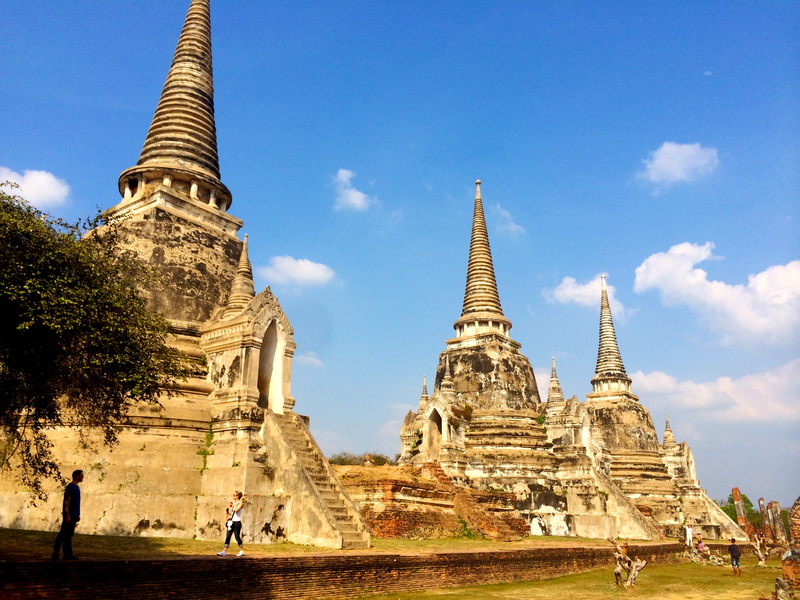 Since our backpacking trip we have gone on several other weekend trips to close by cities such as Bangkok and Ayutthaya and spent weekdays grading papers, teaching, working out and trying to get back into a routine to make life feel “normal” again. 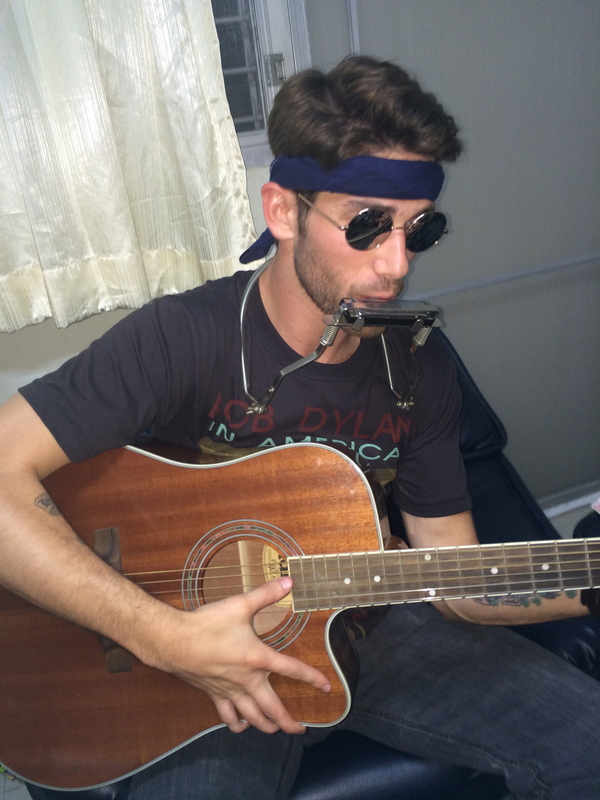 We often discuss and marvel at the fact that we live and teach in Thailand. It is still mind blowing some days. It is absolutely incredible how quickly human beings can adjust and morph into members of a new group of friends, community, and even a country. In my day to day life, it becomes increasingly difficult to pick out things that are “different” than life in America. Of course when I think about it, the list goes on forever but for right now this is my stomping ground and I am becoming very comfortable with that. Here are some highlights from the past month. 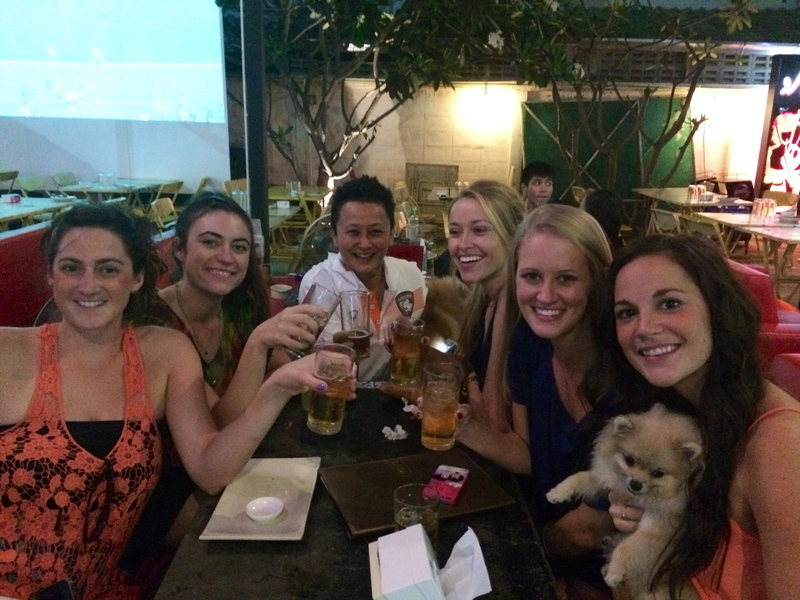 They prove to be a hilarious balance between “Teecha Susie” life and 20-something Traveler Susie life. 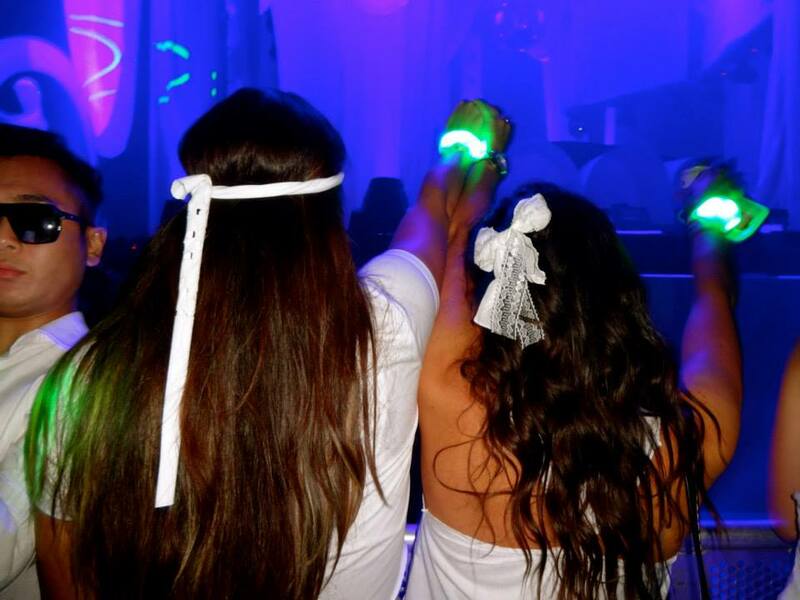 Sensation White– My Suphanburi teacher crew (who have quickly become my close friends and traveling partners) and I went to a world famous music festival in Bangkok. It started in Amsterdam but has spread to all different countries around the world. 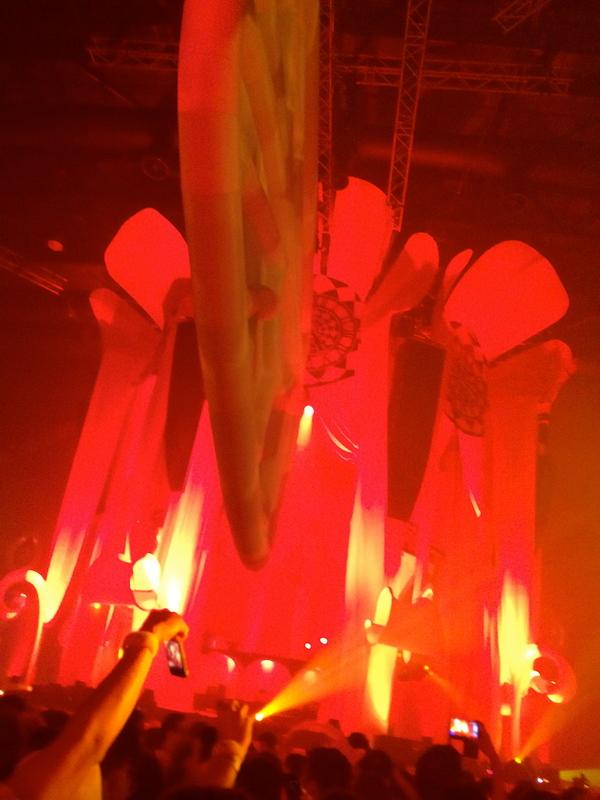 It was an awesome experience with famous DJ’s from all over the world, a “wicked wonderland” theme, and of course an endless sea of people dressed in white. 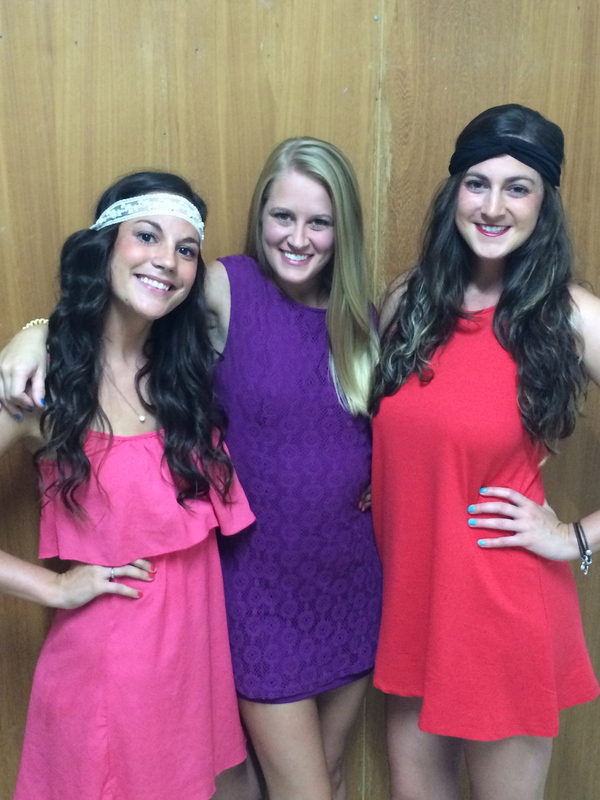 It felt great to dance the night away with my girlfriends. Oh, and of course eat Mexican food in Bangkok. Any chance we have to eat good Mexican food is an instant burrito party. 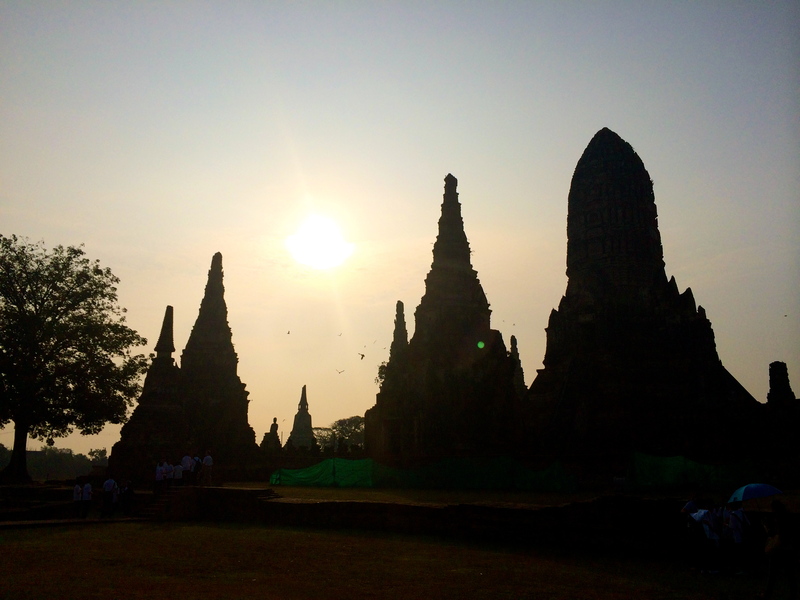 Field trip to Ayutthaya– The English Program took a fieldtrip to Ayutthaya, the ancient capital of Thailand, and had the privilege of having our M-2 (8th grade) students be our tour guides. Each foreign teacher got a group of 3 or 4 students and they led us around the temples, historical landmarks, and museums for the day while spouting off more facts than I could possibly process. My group was absolutely adorable and I learned so much. I loved all of the ghost stories they told me and found out that Thai people have many tales about ghosts that are passed on from generation to generation. Field trips in Thailand are NEVER disappointing! 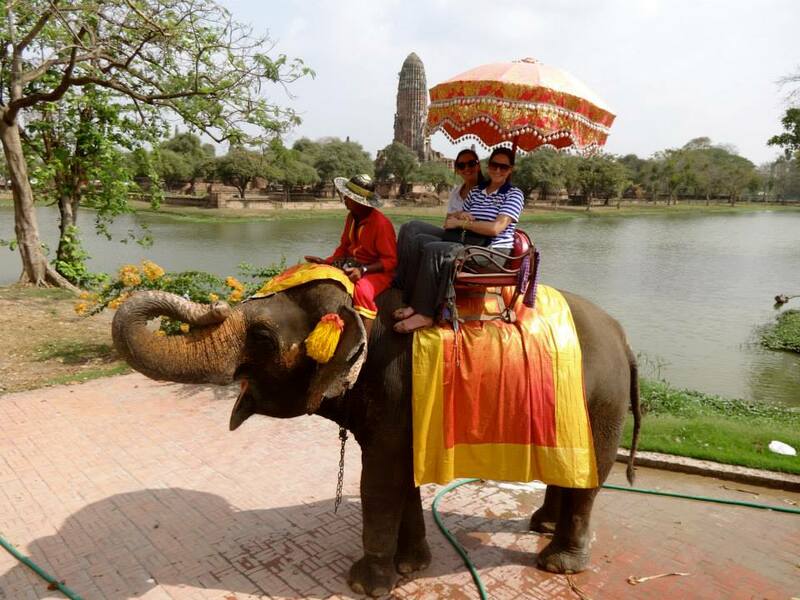 College besties booked their trip to Thailand – Some of my best friends from college finally bit the bullet and booked their flights to Thailand in April. I am SO EXCITED to play tour guide and already made a color-coded itinerary for our jam-packed 10 day adventure! I am blessed to have such great friends who are willing to trek half way across the world to see me! Love you guys! It’s going to be EPIC! 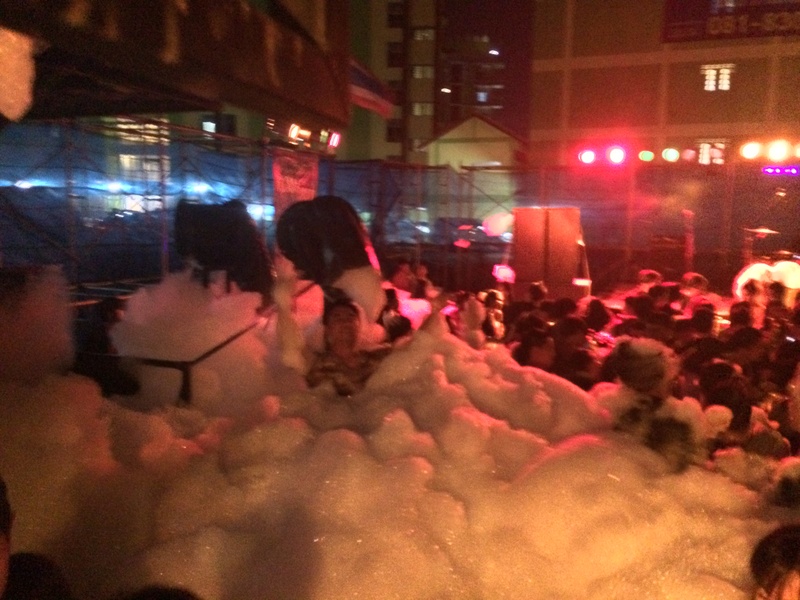 Kasetsart University trip– As I said before this was a hysterical weekend with too many laughs to count. It reminded me how important good friends are and no matter WHERE you are, the company you keep is what matters the most! ❤ Love you guys! 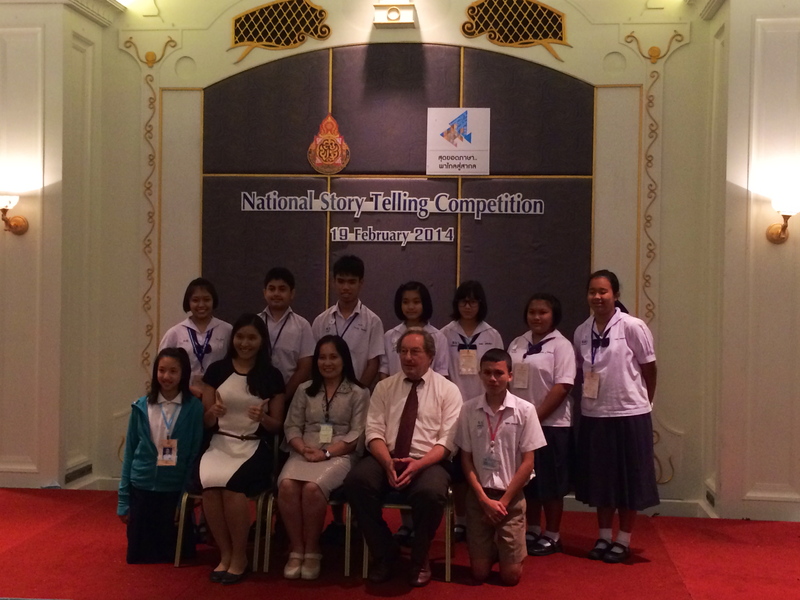 Thailand’s National Storytelling Competition– One of my favorite students made it to the national storytelling competition that took place in Bangkok. We have been practicing her story since October so she asked me to come along and watch her at the grand finale. It took place in a huge convention center with thousands of people and I could count on two hands the number of foreigners who were in attendance. There were also political protests going on right across the street and everyone seemed extremely casual about it(I was slightly freaking out). 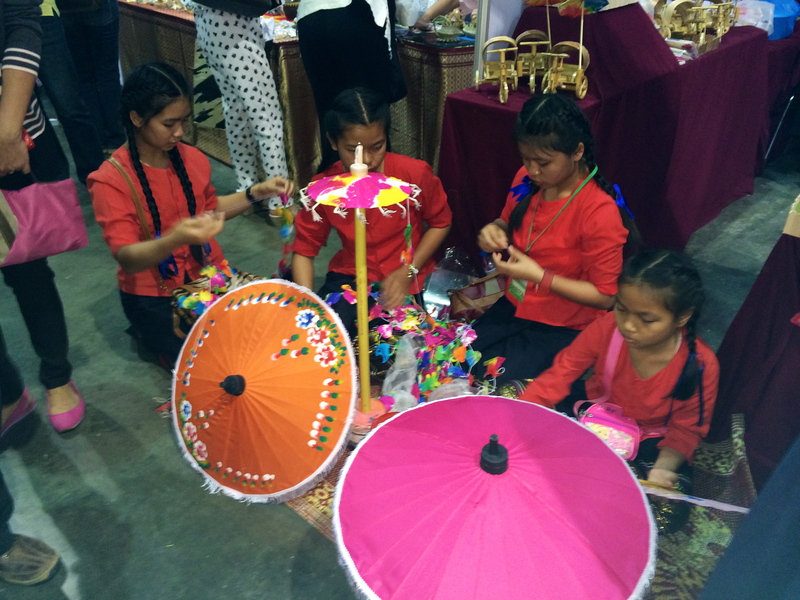 All in all, it was awesome day chalk full of Thai culture, shopping, and bonding with my student & coworkers. She took home 6th place overall and absolutely rocked her story. I am so proud of her! 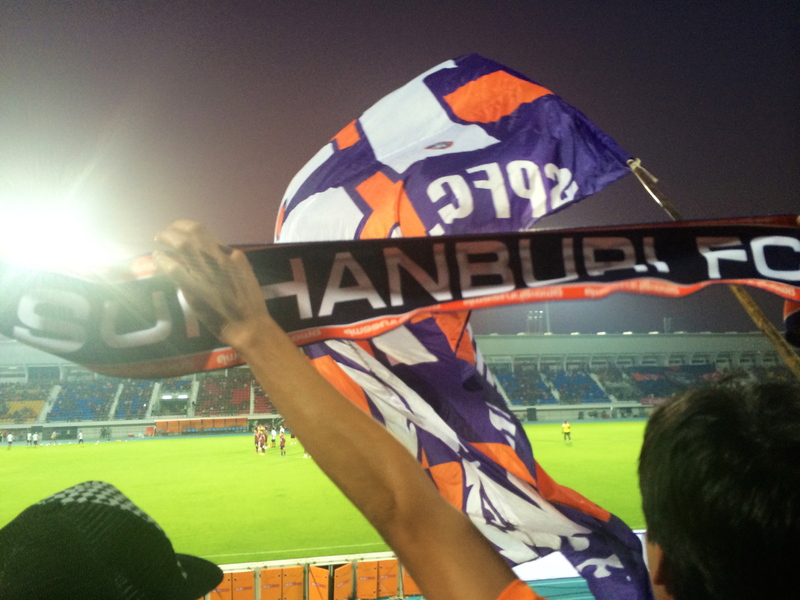 First Suphanburi FC Football match– Personally, I never understood other countries fascination with soccer (football). I never played in high school and I only followed it on TV when it was the World Cup. When I first moved to Suphanburi I heard that we had a professional football team that was very talented and well followed. My crew and I decided to attend the first match of the season since some of them will be moving away from Thailand after this semester. Let’s just say… I GET WHY PEOPLE LOVE IT! It felt like a college football game at WVU!Despite the fact that we were the only 5 white girls in a stadium full of locals…The whole town was decked out in orange and blue jerseys, and cold beers, and food vendors were everywhere. The whole shabang! 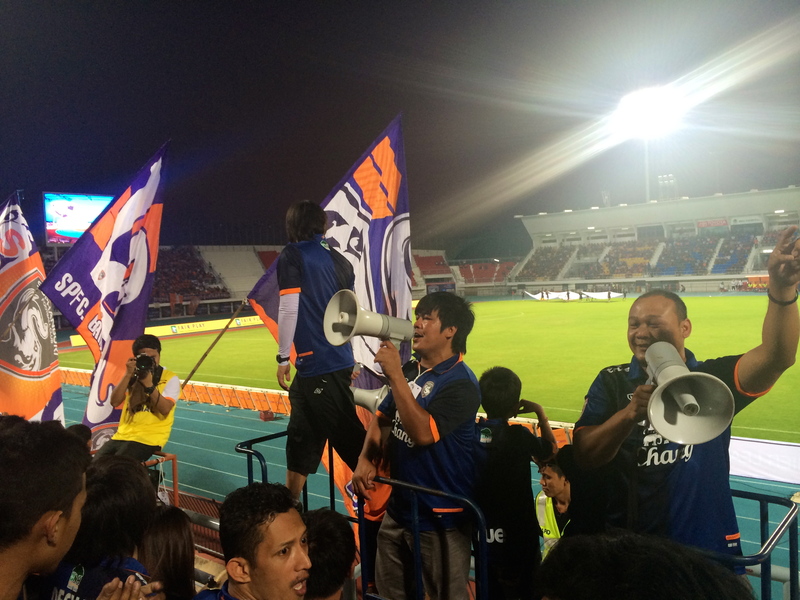 It was SO fun, despite Suphanburi FC’s loss; they definitely gained a group of new loyal fans! GO SUPHAN! 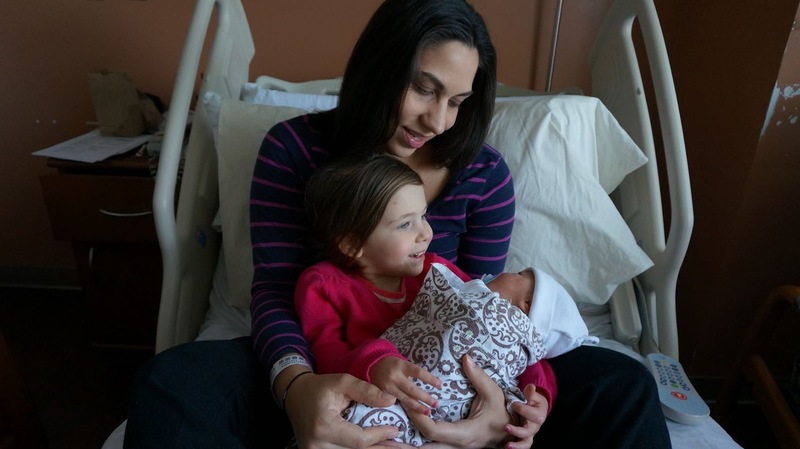 Birth of my nephew Samuel Benjamin Bell – My nephew was born yesterday (2/24/14) weighing in at 8 lbs. 2 oz. 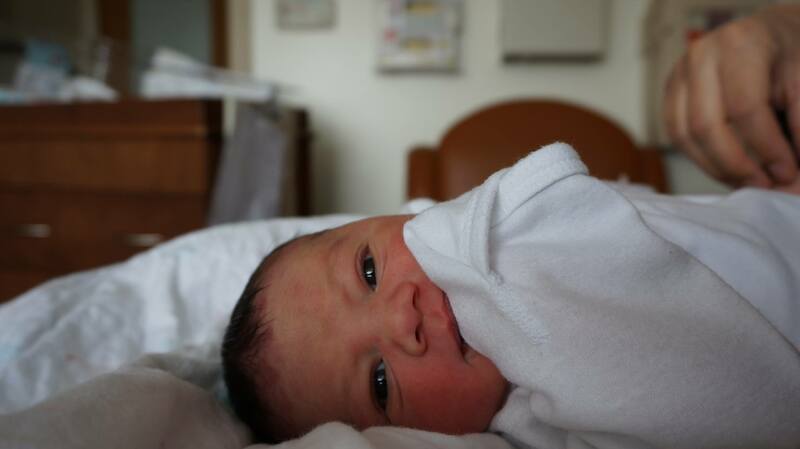 and he is just as adorable as his older sister, Layla. I am so happy for my big brother and sister-in-law! Being an Aunt is one of the best jobs around and I can’t wait to spoil this little guy. I am definitely extremely sad that I can’t be there to meet him, hold him, and spend time with my family but I am grateful for technology and looking forward to getting to know him once I return to America! 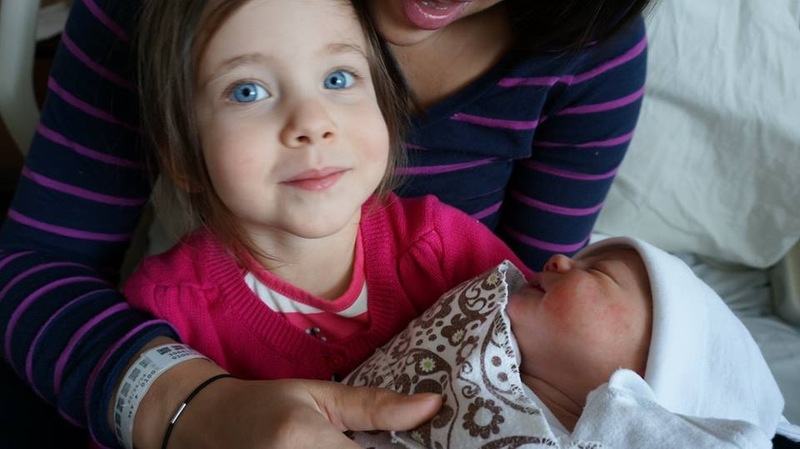 I can hear myself telling my niece and nephew stories of my adventure in Thailand when they grow up. I hope to instill a wanderlust in them and the confidence to follow their dreams, no matter how radical they may seem. Sending lots of love your way lil Sam & Bell fam!